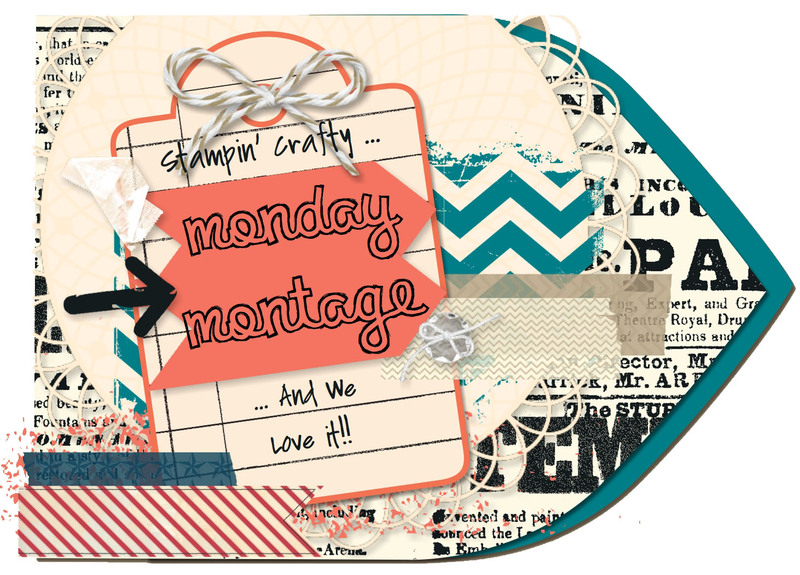 We’re excited to share with you another Monday Montage blog hop today. There are ten of us participating, and you can work your way through all ten posts by clicking on the arrow links at the bottom of each post. I find that sometimes when I have supplies out from making one card, it just makes sense to make another. I usually don’t want to make the exact same thing again, but I’ll use the same supplies to make something a little different. So, I had some Calypso Coral, Pear Pizzazz, and Coastal Cabana card stock and inks out. Love this color combo, by the way. I also had the new dsp stack, Fresh Prints, out as well as some Tea Lace doilies and Calypso Coral Baker’s Twine. I pulled out my new Banners Framelits dies and coordinating Perfect Pennants stamp set and whipped up two cards. On the above card, I also used the little star stamp that will be included in a new Sale-a-Bration set, Banner Blast, that will be out on January 28. I also include a button from the Basic Metal Buttons collection in the Spring catalog. On this second card, I used a different image from the Perfect Pennants set and a snippet of Pear Pizzazz dsp from the Subtles DSP stack. The Banners Framelits make it so easy to cut out perfect banners. Well, you’re ready to hop on over to Breelin Renwick’s blog and check out her fabulous creations. Just click the Next arrow below. Or, if you’d rather work your way backwards, you can go visit the talented Wendy Weixler’s blog. Either way, you can work your way through the nine other blogs. This entry was posted in Banner Blast, Monday Montage, Perfect Pennants. Bookmark the permalink. Love both of these! So sweet…love the little piece of doily peeking out! BOTH of these cards are SO fresh and crisp …great colors, darling layouts … you always make this look so easy (and I KNOW it’s NOT!!)!!! YOU ROCK! Love both of these cards! The colors are beautiful and the embellishments are fun! Thanks for sharing! OOooo, I love this color combo too! Both cards are amazing! I also love the doilies. I may just have to get that stamp set! I am in love with the first card! I love the colors and the collage! awesome, awesome, awesome Amy!! I love them both… I am a sucker for negaive space and clustering!!! I love both of these, Amy! 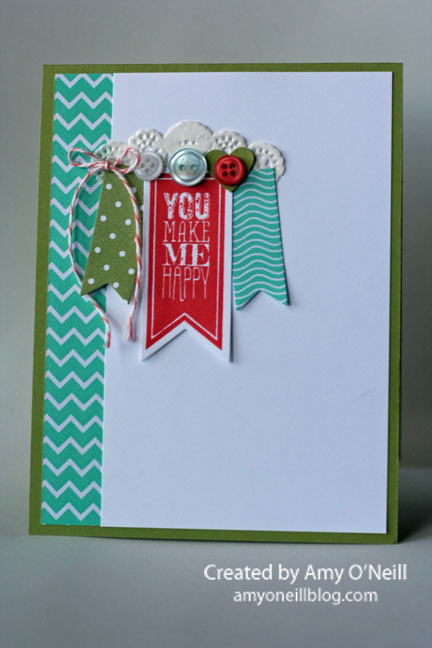 Great color combo, and you are so good at creating collage style cards. Both of your cards are so beautiful, elegant and deceivingly simple! 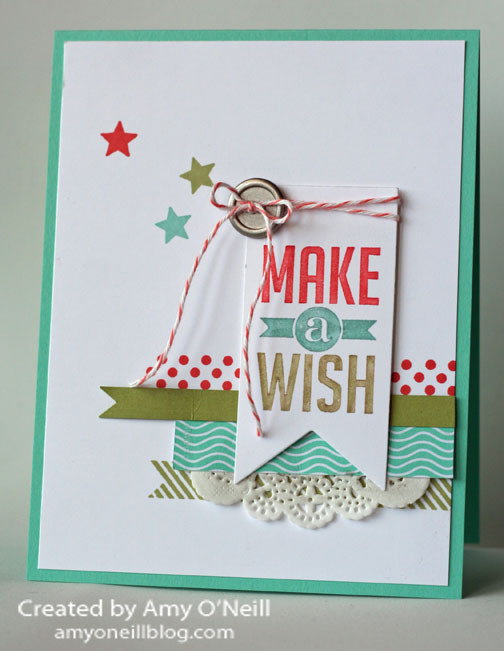 You make it look easy but not everyone can make such clean and strikingly lovely cards! Love them!